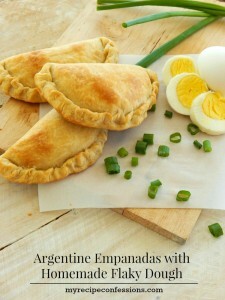 These Argentine Spinach Empanadas are a variation from the traditional Argentine empanada. My mom made them a few times when I was growing up. I have always loved spinach so of course I loved them. If you like empanadas, then you need to try these. The secret to a flaky crust is to roll the dough thin. Then after you assemble the empanadas, you place them in the freezer for at least 30 minutes. The eggs and flour in the recipe help bind the filling. So if you seal the empanadas well, you won’t have any problems with the filling spilling out during the cooking process. 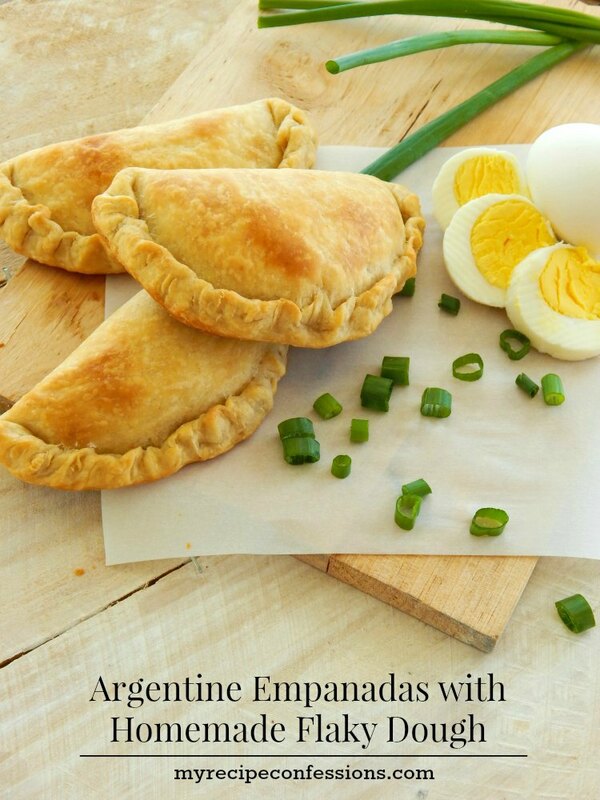 You are not going to be disappointed with these Argentine Spinach Empanadas! Between the flaky crust and the creamy spinach cheese filling, you really can’t go wrong. If you need me, I’ll be in the kitchen eating my empanadas. 2. 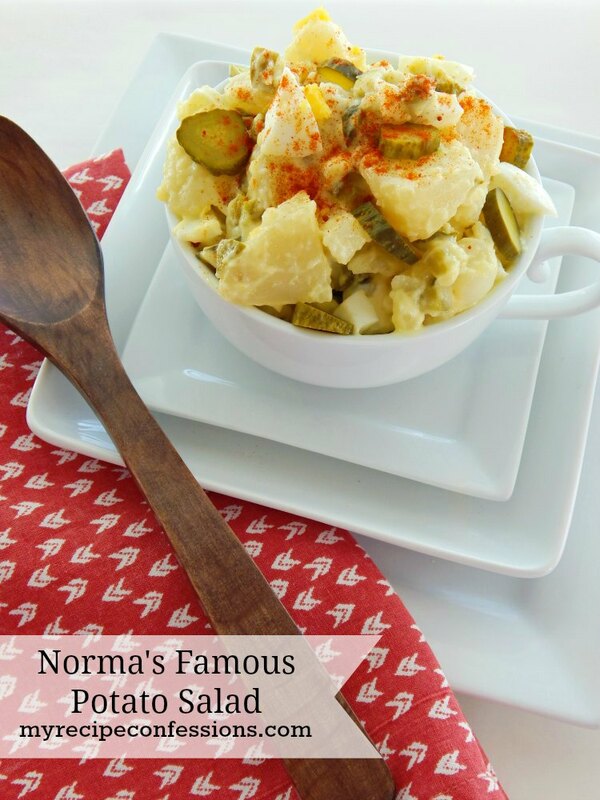 Mix the flour, salt, and paprika in a large mixing bowl and make a well in the center of the flour. 1. In a medium sized bowl, mix the ricotta cheese, mozzarella cheese, parmesan cheese, red chili pepper, and egg together. 2. Heat the oil in a large skillet over medium-high heat. Add the garlic and onions into the skillet and saute until tender and translucent. Add the spinach to the skillet and cook until the spinach wilts. Toss in the flour to coat. 3. Stir the spinach into the cheese mixture. to see the step by step tutorial on how to assemble the empanadas click here. 1. Once you assemble the empanadas, place them on a greased baking sheet 1 inch apart. 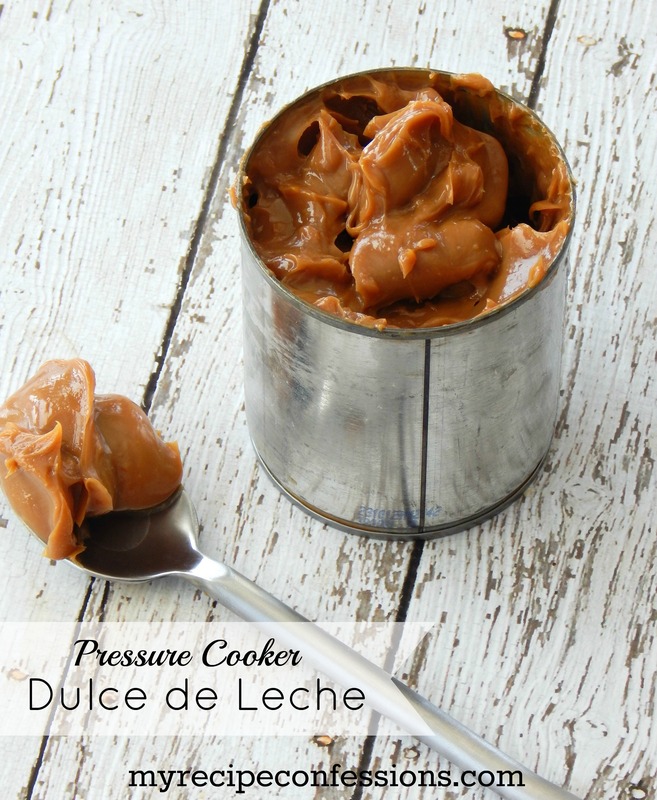 Place the baking sheet in the freezer for 30 minutes. 2. While the empanadas are in the freezer, pre-heat your oven to 375 degree. Place the baking sheet in the oven and bake for 25 to 30 minutes or until the empanadas are a light golden brown. 3. Allow to cool for 5 minutes before eating. 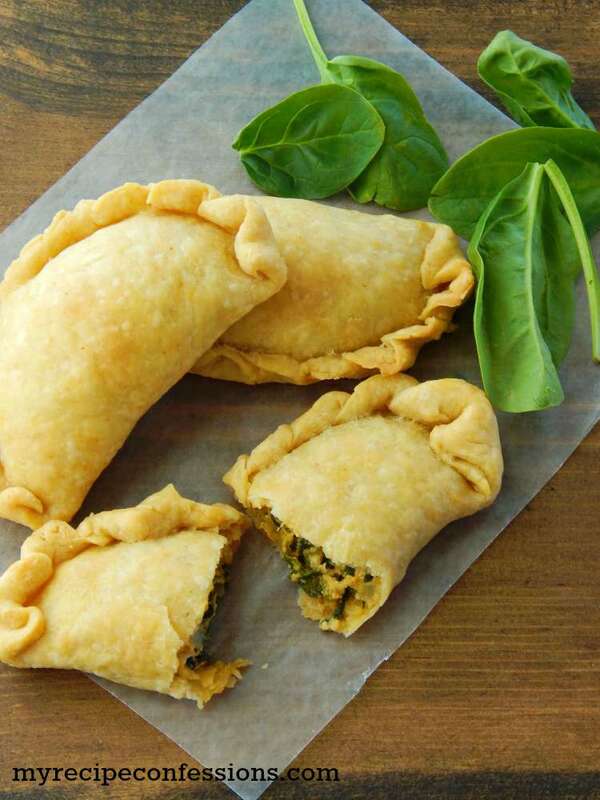 This recipe is adapted from Spinach Cheese Empanadas by Use Real Butter. I cant wait to try this. How many empanadas will this recipe make? It makes about 18 to 24 empanadas. 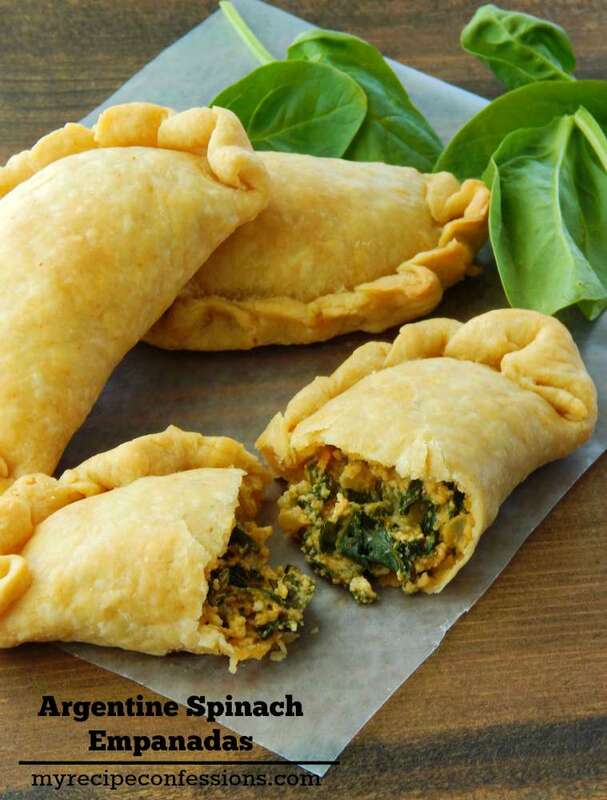 Spinach empanadas is a variation that is common in Argentina. Trust me, they are delicious! I can’t wait for you to try them.